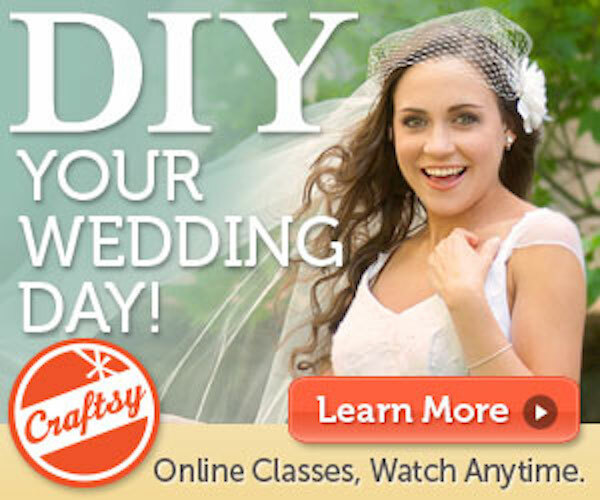 Have you heard of Craftsy?! The company I am spotlighting today has developed a sort of online creative university. It’s a website designed with creativity in mind- a place in this world where creative people can go and make new things, learn techniques from experts and polish up or advance in crafty skills. 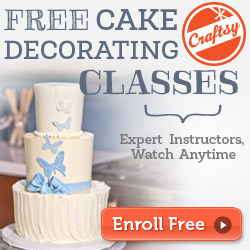 Craftsy is a website chock full of instructional videos (really good ones!) 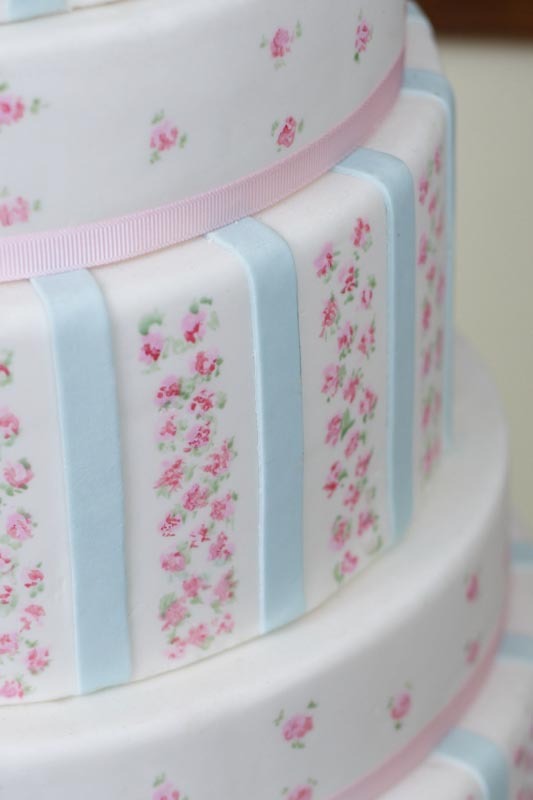 from anything from vintage cake design, to Vintage style veils and headpieces, to retro bombshell dress designing, to knitting or vintage inspired designs, all sorts of sewing and even photography. You get the idea and I could go on.. on and on, the classes are endless.. and that’s just a small preview! In the next few months they will be adding even more courses to their catalogs! Here is an example of just a few of their classes below..a little snippet..
You can take classes on your own schedule, and at your own pace, but still be able to interact with your classmates and instructors. So cool! 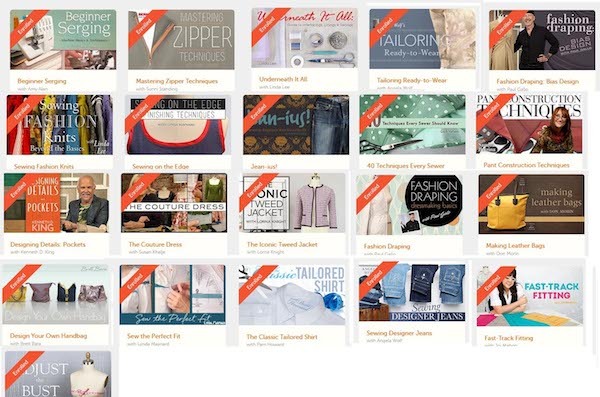 Craftsy produces four to six new classes a month. Courses generally cost between $20–$50.Around half of the courses are filmed in the company’s Denver studios, with the remainder being filmed in the instructor’s studio or shop. Videos also include a 30-second repeat feature to enable students to rewind to sections they have missed. 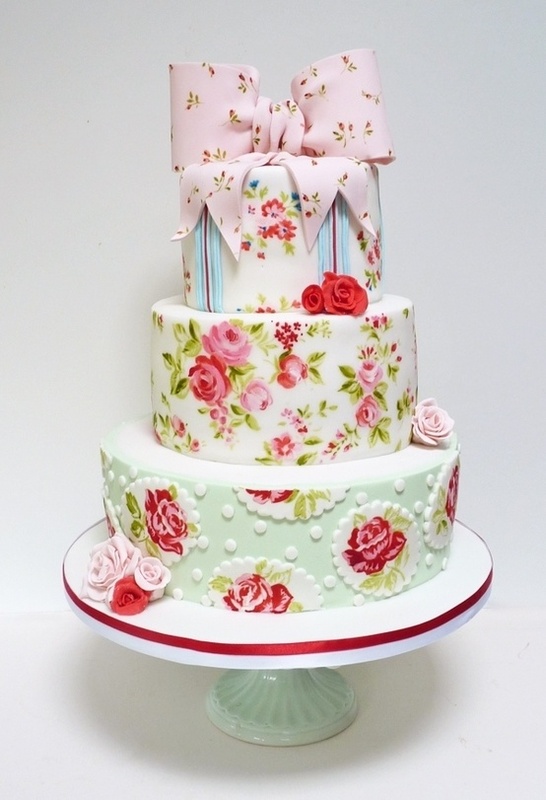 Courses are delivered by experienced craft teachers and video courses are typically 10 lessons long, amounting to five hours of video tuition. Courses paid for never expire, so can be rewatched and searched to find a particular section. Students who are having difficulty with a particular method or technique can also post a question and photo to get help from the instructor or other people taking the class, with the question appearing as a pop-up bubble below that section of the video. 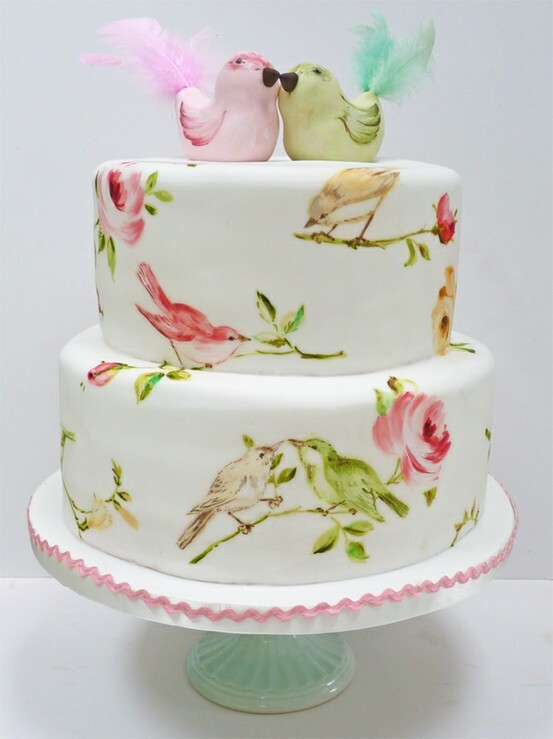 In addition to video lessons, Craftsy has a range of downloadable step-by-step craft workshops, combining photographs and instructions. Workshops typically cover one project, whereas videos cover several projects or techniques. 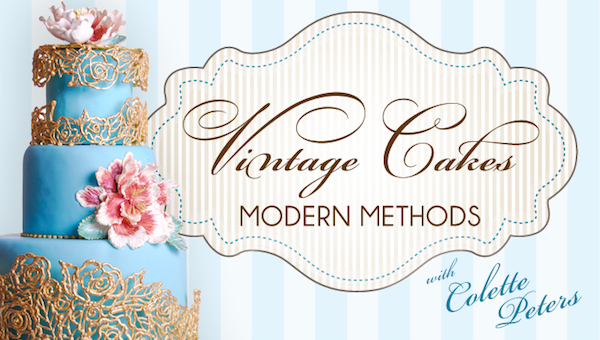 Check out all these fabulous sewing and design classes, um…wow! 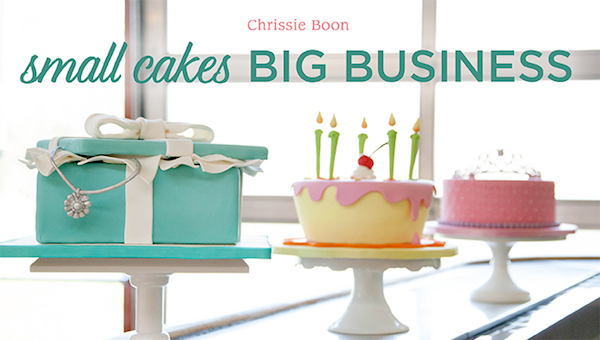 Wanna start your own cake business and looking for ideas? 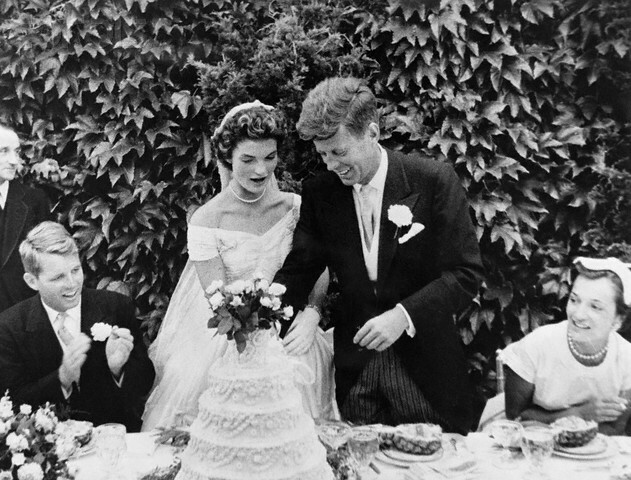 Ever wondered about becoming a wedding photographer or learning more skills? Who’s ready to sign up for some classes? Hurry 50% off sale ends soon! 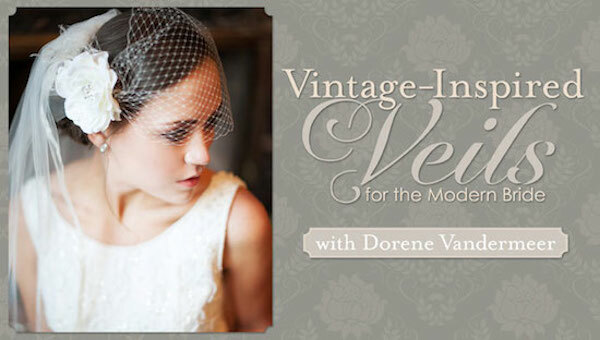 I also love their array of wedding related instructional video classes below. 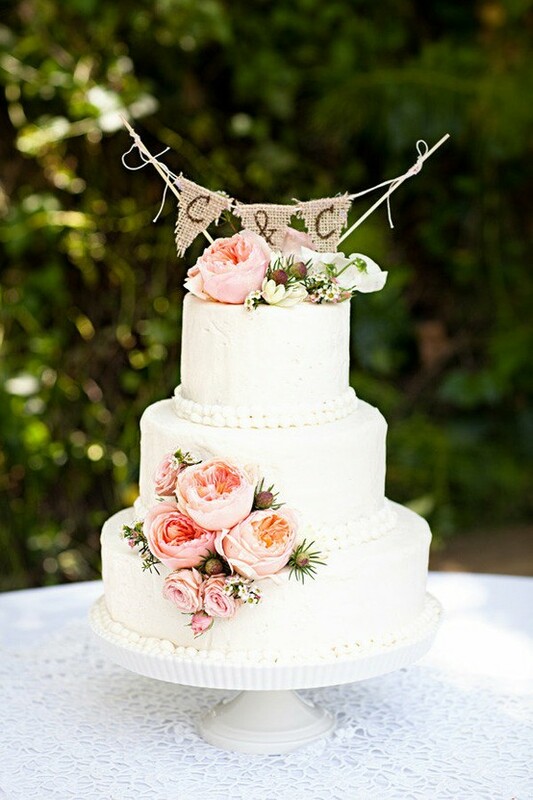 So much fun and perfect way to DIY your wedding. I designed my own veils and floral headpieces for my bridesmaids and it was so much fun! 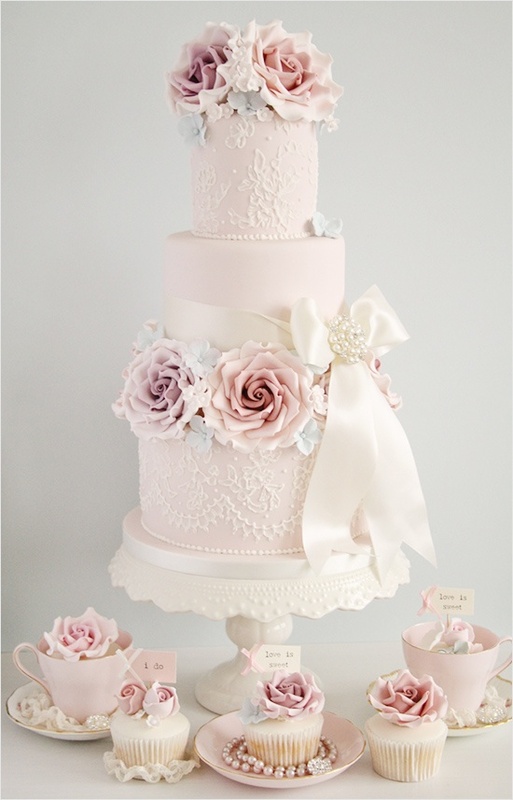 Oh and wait until you check out their cake design classes!, they are very popular and the teachers are amazing! It’s all very fresh, modern, professional and edgy as well. This is a great way to learn and super fun! I also love that you can keep your classes to refer back to and watch again.. Here is a little below about their wedding related classes...there are of course a ton more here.. 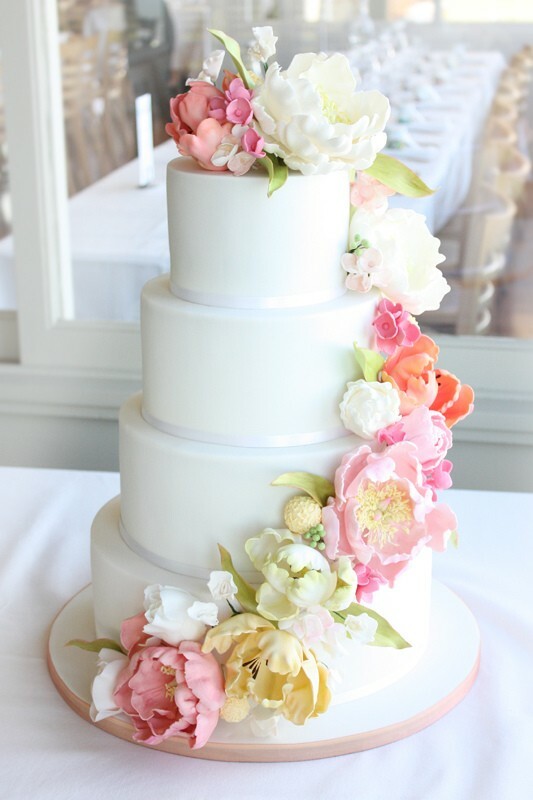 I personally am in love with Craftsy! I am now officially addicted to learning new ideas and picking up new talents constantly. What a fabulous site! 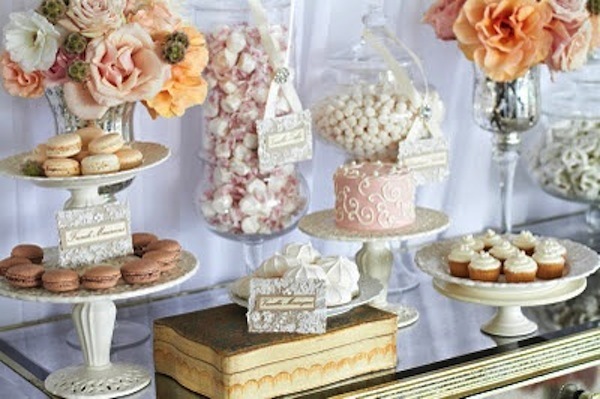 I am so happy to share it with you..
How to create a gorgeous vintage inspired wedding dessert bar! 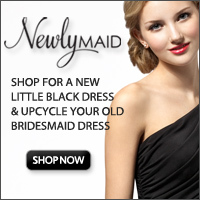 Hello my gorgeous brides to be! 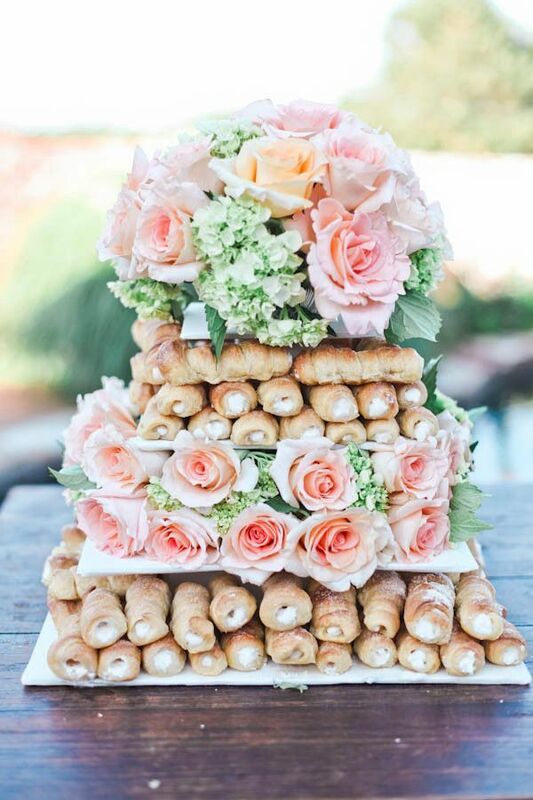 This was a really fun post for me to do and I think one of my favorite things to research is yummy things that make me drool! Let’s get started ! 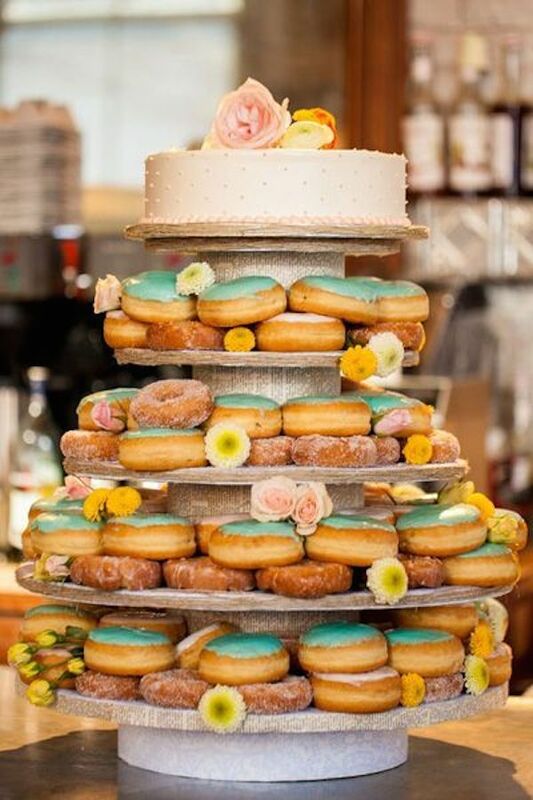 Soo…a “newish” fun wedding trend which I am sure you are aware of by now.. is offering a dessert bar instead of just a traditional wedding cake. 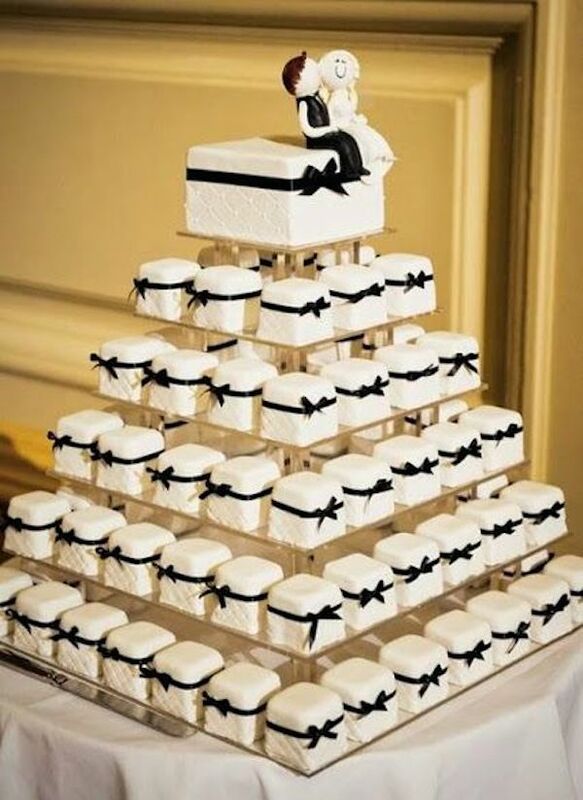 This is a way to serve sweet treats and confections instead of OR in addition to the cake. I personally love this trend and nothing more fun than having your own beautiful, stylish and trendsetting area straight out of the web pages of Pinterest! 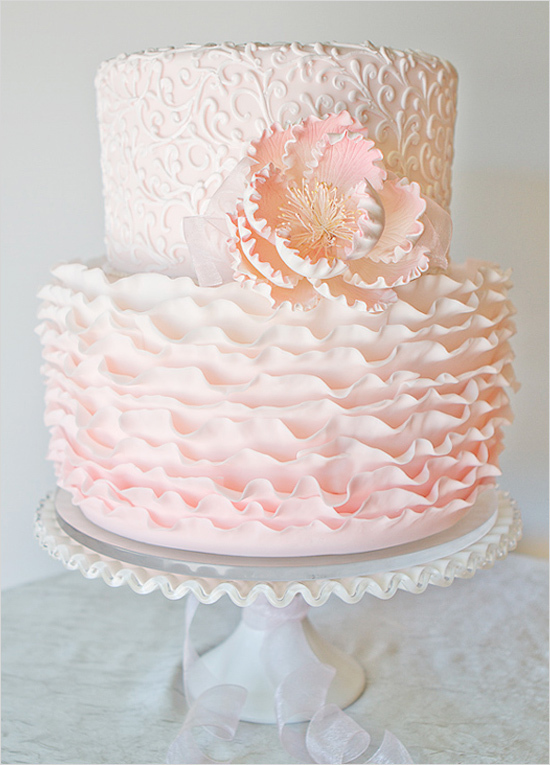 You can definitely create this and it is a lot easier than one might think! 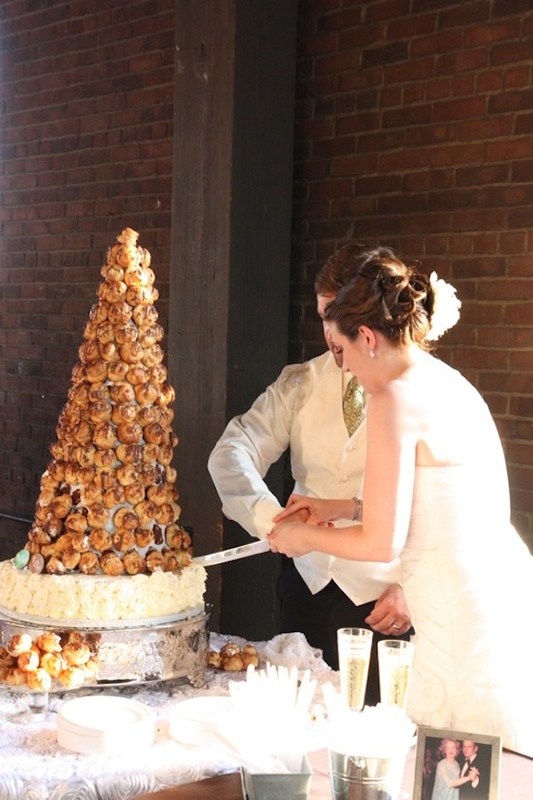 You can make it as simple or as elaborate as you’d like and guests can get up and help themselves and not have to wait for a waitress to hover around! Really fun! 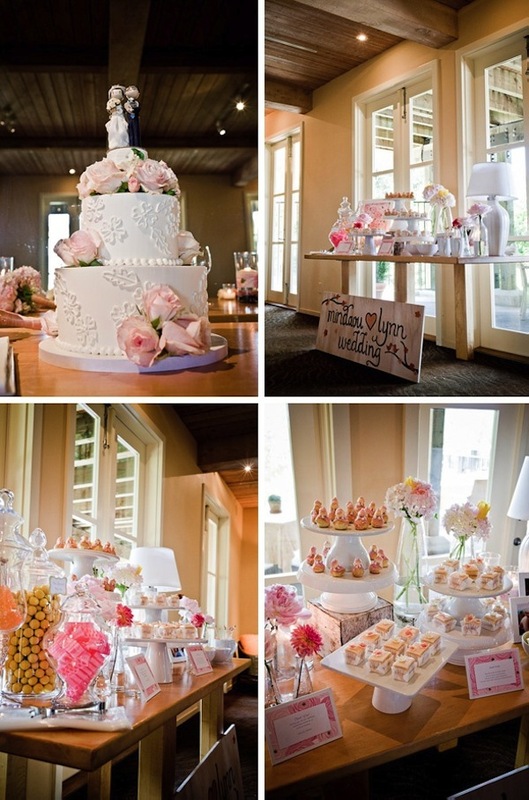 Have lots of different options at your dessert table. 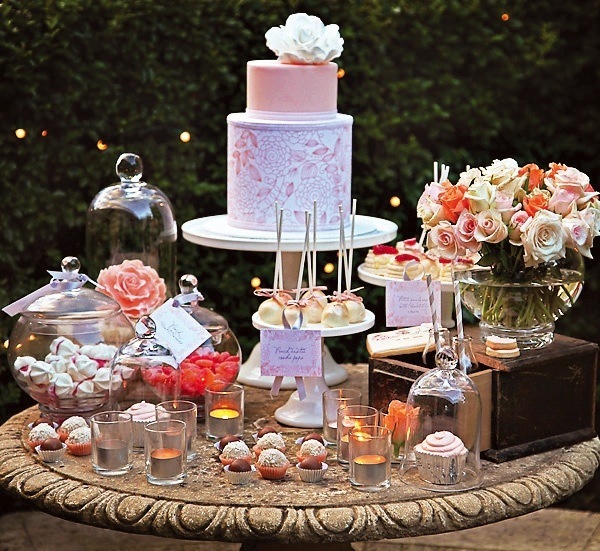 The theme of your table should match your entire wedding theme. 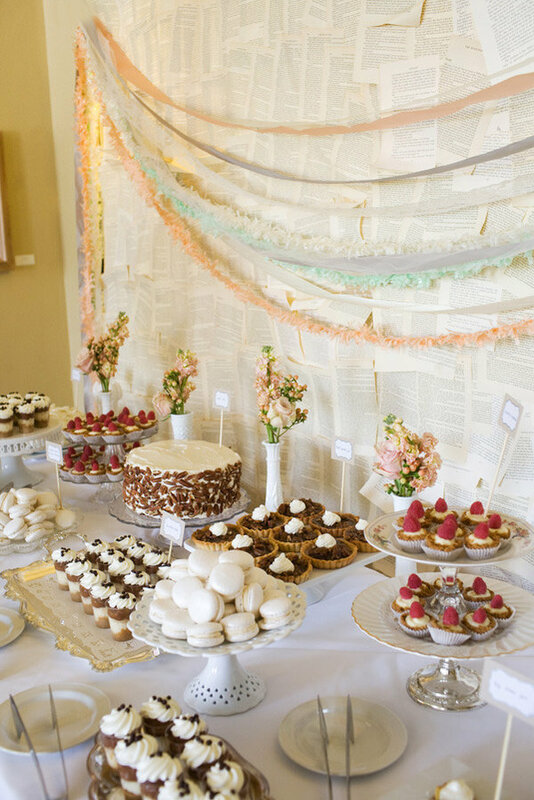 So obviously in your case, you’re most likely going with a vintage inspired theme, so stick with that at the dessert bar as well. 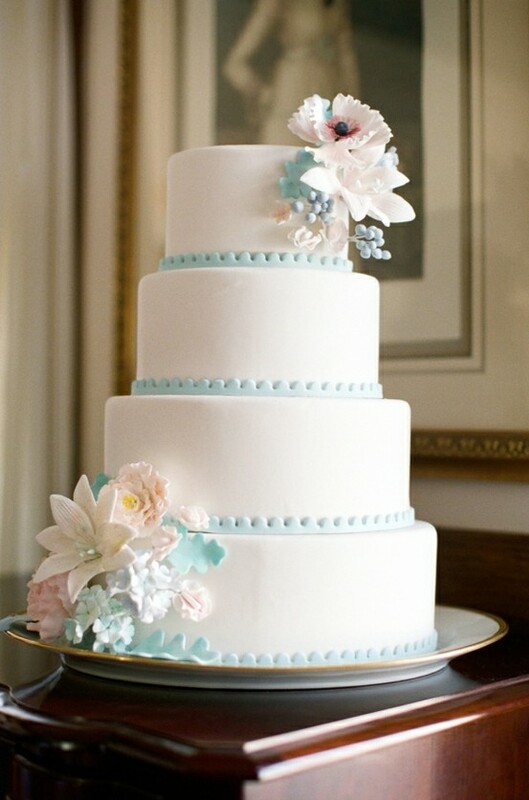 Make sure everything is also color coordinated too with all your “wedding colors” you have chosen for decor, flowers and bridal party attire. 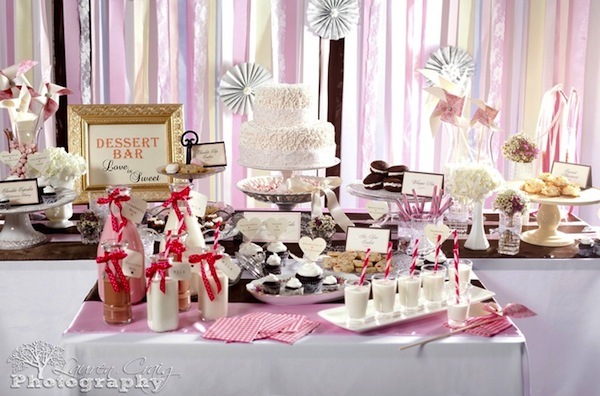 For example, it you went with a pink and white theme, you might want to have pink and white cupcakes, pink parfaits in glasses, strawberries dipped in a white chocolate, etc. Have fun with it and let your imagination run wild and your inner designer come out to play! 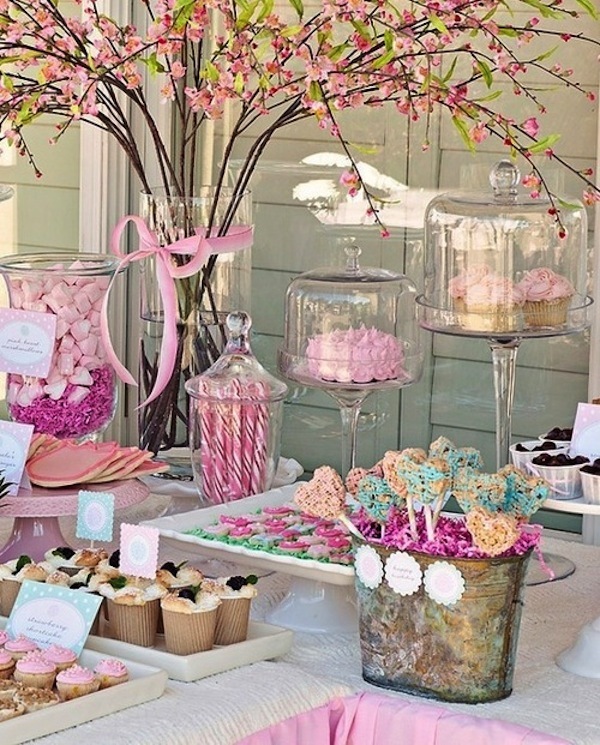 What you decide to include on your dessert bar is really up to you. 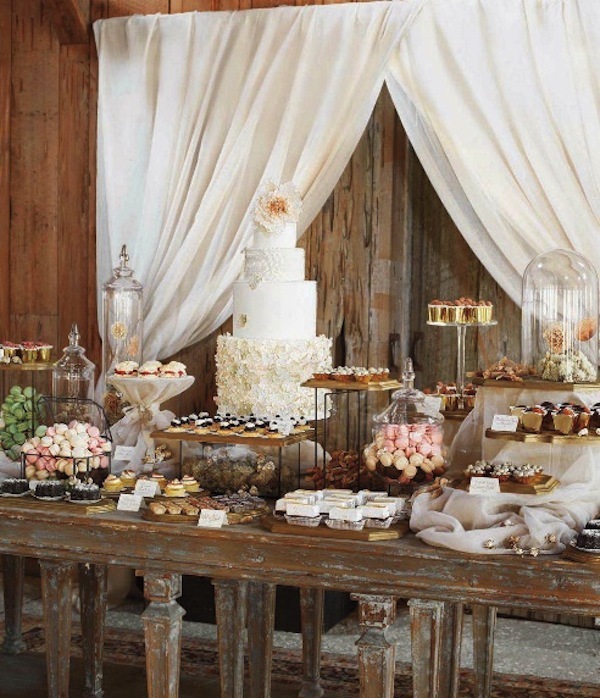 You can go ultra high-end and have petit fours, decorated gourmet chocolates and other fancy little treats… or you can go really casual and add jello-parfaits, fruit trifle or cupcakes. 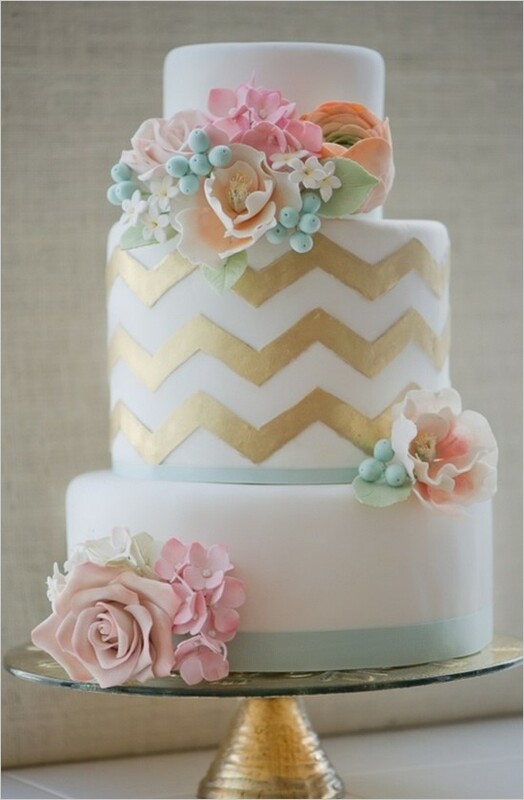 Both will be gorgeous, it’s all in the placement on the table and color coordination! 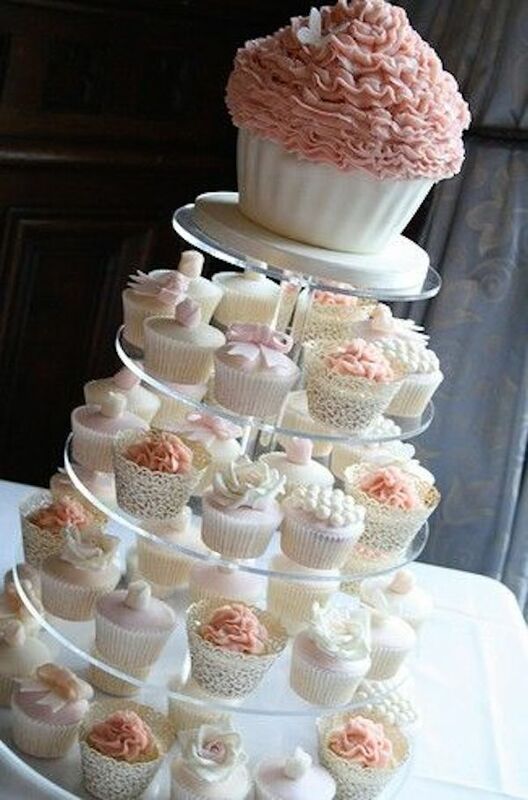 Many brides decide to have a cupcake tower that resembles a wedding cake. 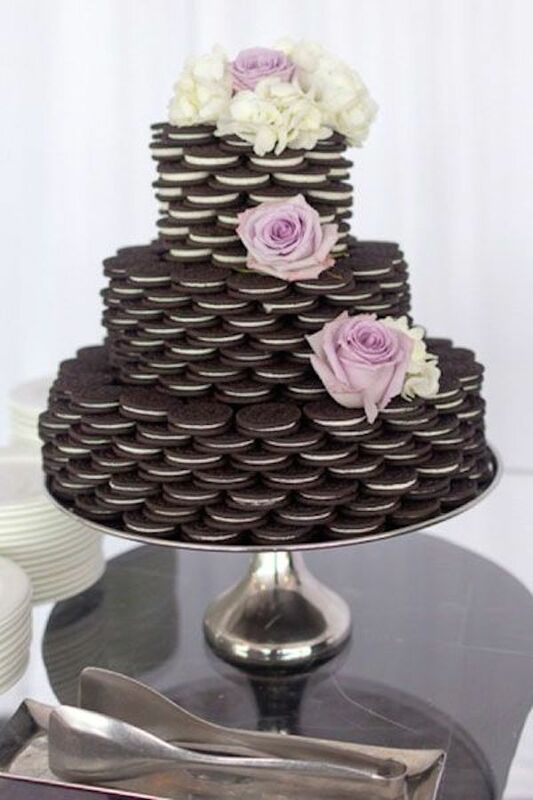 Have fruits dipped in chocolate, maybe a chocolate fountain (although that idea is not used as much these days, but lots of fun! 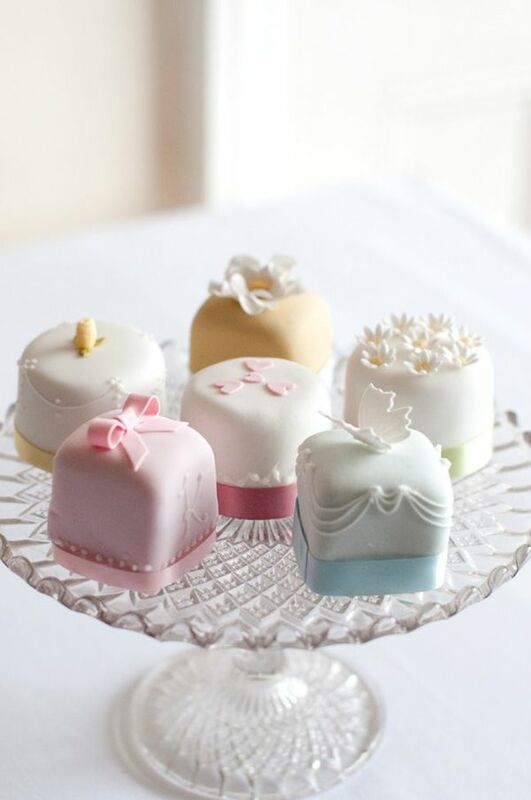 ), tiny cakes that the guests can take back to their seats. 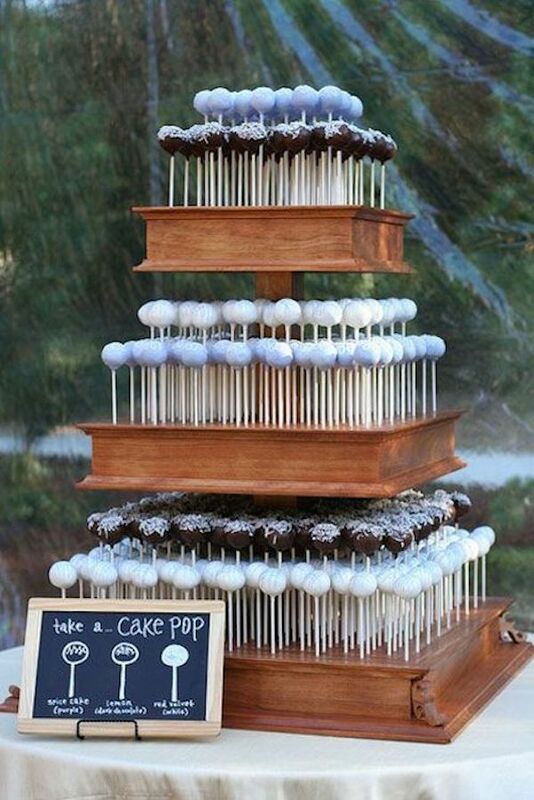 Another fun idea is cake pops and fun colorful swirled lollipops! 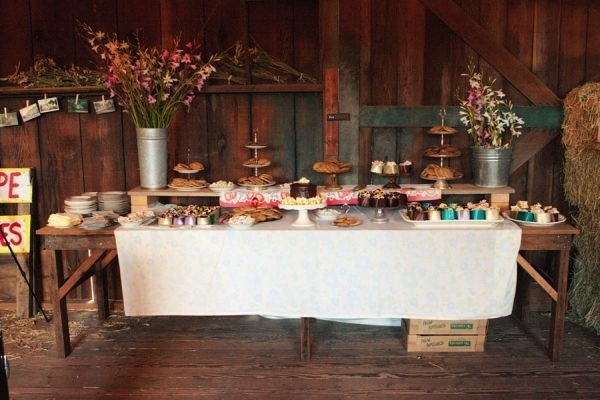 Be sure to have a lot of coffee and teas to go along with your desserts! They can be served at the table, if your meal was a sit-down…or you can create a fun coffee bar where they can help themselves. Totally up to you. 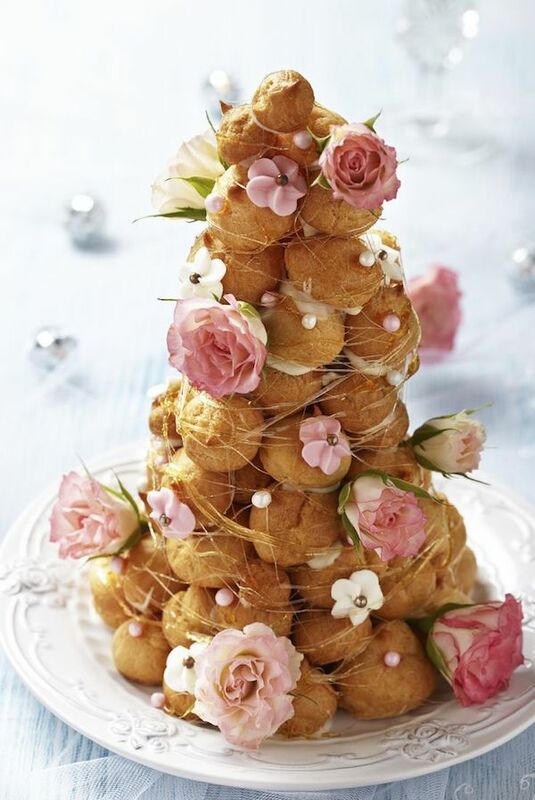 Make sure to add fun, stylish accessories to your table like pretty flowers! 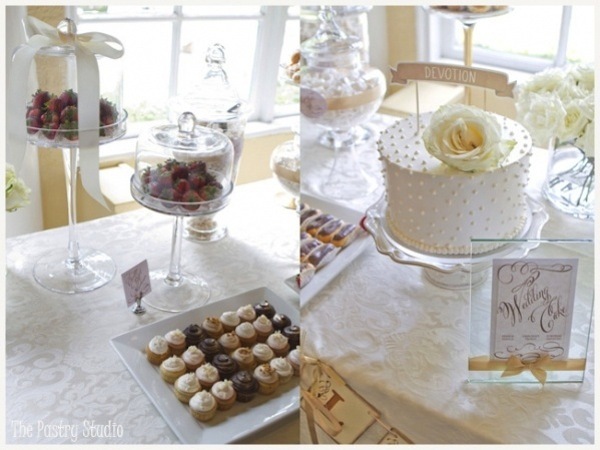 Be sure to use amazing glass vases and trendsetting cupcake tiers to set the stage for your pretty sweet centerpieces on your table. 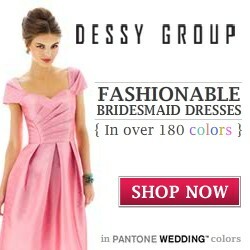 Just like the perfect dress, they too need the right amount of accessorizing & styling! 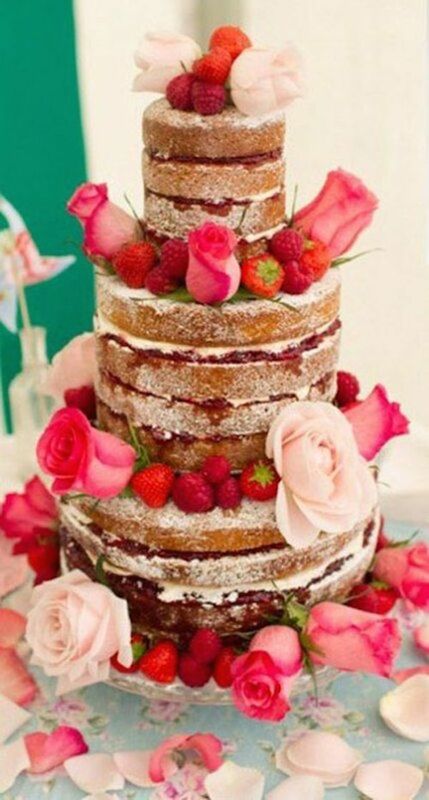 Enjoy Planning & let’s get to these yummy pics! !